The Caribbean island of Aruba offers plenty of options to keep you happy and busy during your vacation. 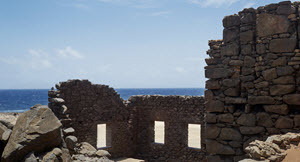 Explore popular attractions and things to do in Aruba and discover for yourself why it’s been nicknamed “One Happy Island.” From the white sand beaches with crystal clear blue water to the colonial architecture to the excitment of assorted water sports, Aruba has something to keep visitors as happy as the people of this beautiful island. One thing you’ll find plenty of in the 74-square miles of Aruba is beach. The crystal blue water kisses the sandy shore and offers an unforgettable aquatic experience that keeps visitors coming back time and time again. Arguably the most popular beaches on the island include Eagle Beach, in the “Low-Rise Area” with exciting waters for jet skis and wakeboards, and Palm Beach, in the “High-Rise Area,” with calmer waters meant for those looking to swim and relax. Though the two beaches are drastically different in terms of their surroundings and what their waters are used for, both offer unmatched views of the Caribbean and a canvas to paint beautiful memories. Review a full list of Aruba.com’s beaches in Aruba and begin planning strategically to see them all! Gamblers, rejoice! 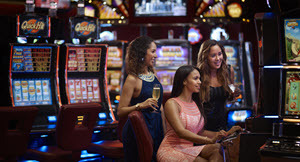 Aruba’s casinos are one of the biggest attractions on the island. Following in the footsteps of the fabulous Las Vegas, the upscale casinos offer a true Strip experience without the high-class dress code. Barefoot tourists and locals alike can easily walk from casino to beach and back without worrying about who they may offend; just another feel-good, beachy norm you can expect to find on the island. Hold ‘em, fold ‘em, or walk away with Lady Luck at one of the many casinos and go home a winner. 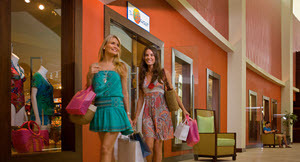 We recommend you check out Aruba’s largest casino, Stellaris Casino, located in our very own Aruba Marriott Resort. We guarantee you’ll do more than window shop this vacation to Aruba. From shopping centers to chic malls to streets lined with great stores that offer name brand, international products, we know you’ll go home with more than may fit in your suitcase. And, if we really needed to twist your arm into spending a little money on yourself this vacation, most of these products are priced up to 35% less than what you find in the United States. So, finish the souvenir shopping for family and friends back home, and take a little time to pamper yourself—you deserve it. Familiarize yourself with the archaeological past as you learn about the rich history of Aruba at the National Archaeological Museum Aruba, located in the capital city of Oranjestad. Colonial buildings erected in the 1920s now house the museum and offer engaging displays of ancient artifacts from 4000 BC to displays giving an idea of what life was like for the Arawak’s during colonial times. As far as history museums go, this is a must see. Take in the island of Aruba from a different angle. See the wonders that lie below the water’s surface with activities including snorkeling, parasailing, and the Aruba’s most popular underwater activity, Snuba. Snuba combines snorkeling and scuba in a creative way to provide a day of family fun for most ages. 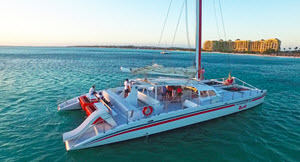 Catamaran sailing is another great way to spend your days out on the water under the year-round sunshine over Aruba, something you can book with Red Sail Sports. So, change into your bathing suits and board shorts and meet by the water for unforgettable fun. Aruba is one of the most ethnically diverse populations in the world and is home to 90+ nationalities. Aruba is just 9 miles off the coast of Venezuela, and on a clear day it is visible from the island. The unique coral and shell composition of Aruba’s famous white sand beaches keeps the sand comfortably cool, even during the hours when the sun is most intense. You’re practically guaranteed a sunny day in Aruba, with Aruba having the sunniest days of any island in the Caribbean. With a location that lies far outside the Caribbean’s hurricane belt, Aruba isn’t subject to some of the same weather concerns as other islands in the region. The weather is consistently warm throughout the year, with average high temperatures of 82 degrees (Fahrenheit) and balmy evenings in the 70s. Aruba benefits from near-daily trade winds, although when the trade winds do occasionally die, the perceived temperature increases a bit. Rain showers are most common from October to January, although when it does rain, the rain tends to be short-lived, leaving plenty of sunshine for visitors.